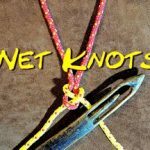 Unfortunately in the video below, I demonstrate how to use the 2 Strand Crown Knot or Japanese Crown Knot to make a few meshes of a cargo net. 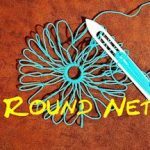 I am still working out how to make a climbing net from start to finish. 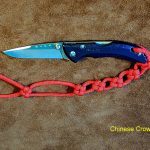 In the video I show how to use a two strand crown knot, but I have also seen a cargo knot made with the Carrick Bend and also the Sheet Bend. In the near future I hope to demonstrate both these processes also. The above is an example of a net using the the crown technique. 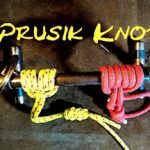 Obviously it is my intention to follow the instructions shown on Animated Knots and produce a full length video on making a complete cargo net. Ps. Loved the fish net making tutorial. Going to give it a go this weekend with some household cotton string then with some bank line. Would appreciate length sizing, too, if you have a formula to share; otherwise I’ll figure it out with the cheap string. From Texas….still part of the USA for now. This pdf was hard to find when I made my treehouse cargo net. Thought I would share it. Shows the sequencing for building the net in a step-wise fashion. 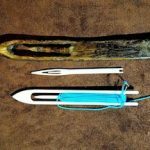 Helped me when I used it a few years ago. Hiya, I found your video while looking for ideas to make rat toys and bridges. 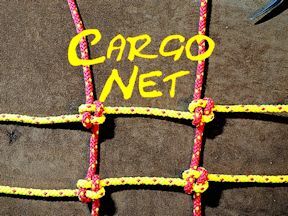 I was wondering if you had a video on how to continue the crown knot to make a full cargo net. From the crown knot video I can work out how to continue the width of a net but how do I add to the length, would I just add another 2 red ropes and feed the yellow down them all? Hope that makes sense. Great video and easy to follow. Thanks. i haven’t found your other video on the continuing and competition of the cargo net.